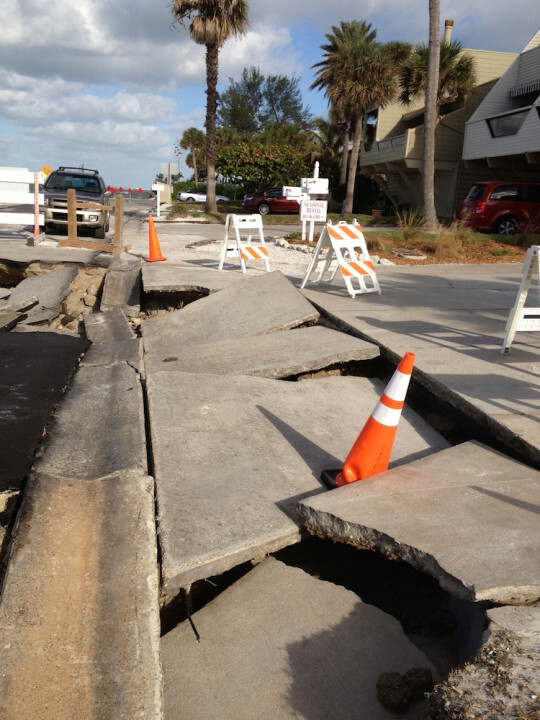 On the morning of May 11, two public hearings have been scheduled back-to-back for the Sarasota County Commission to consider matters pertaining to a 360-foot section of North Beach Road on Siesta Key that has been impassable to traffic for years. During the first hearing, the board will consider whether the county should abandon that portion of the road; the second hearing will involve a petition for a Coastal Setback Variance for new construction between that part of the road and Avenida Veneccia. North Beach Road has deteriorated significantly over the years as a result of persistent storm damage, including problems precipitated by the passage of “Superstorm Sandy” in 2012. A group of people who own property along the 360-foot segment at the heart of the May 11 hearing submitted an application last year, petitioning the county to give up all rights to that part of Beach Road, county documents show. 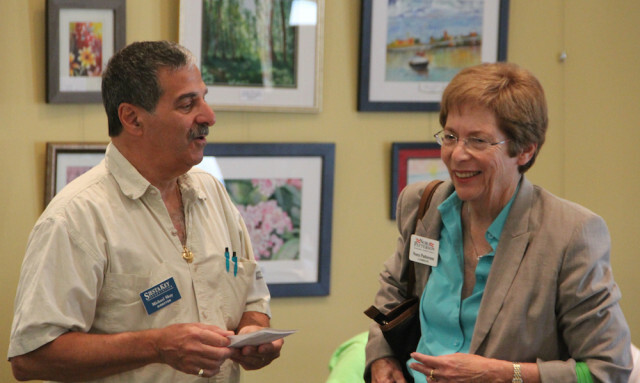 Matt Osterhoudt, senior manager in the county’s Planning and Development Services Department, told The Sarasota News Leader on April 14 that the public hearing on the road abandonment is scheduled immediately ahead of the hearing on the Coastal Setback Variance petition. However, he said, “Sometimes [the commissioners] will open both hearings at the same time because they’re interconnected.” That decision is up to the board chair, he added. The petitioners seeking the road abandonment also have offered to pursue the necessary legal means to ensure that unimproved lots they own west of Beach Road would be restricted from future development if the County Commission agrees to the abandonment. The commission voted unanimously on April 12 to proceed next month with the public hearing on the road matter. Both public hearings will be held at the County Administration at 1660 Ringling Blvd. in downtown Sarasota. The petition for the “Vacation, Abandonment, Closure and Discontinuance of a Road or Portion Thereof” was filed with the county by attorney Charles D. Bailey III of the Williams Parker firm in Sarasota on behalf of three couples: J. Edward Ramsey and Christy S. Ramsey of Bristol, IN; Dennis W. Madden and Wendy W. Madden of Ada, MI; and William Caflisch and Sheila S. Caflisch of Sarasota. The application explains that the petitioners own contiguous lots abutting the east and west sides of Beach Road north of Columbus Boulevard that lie within the Mira Mar Beach Subdivision. The petitioners signed the application in April and May of 2015. 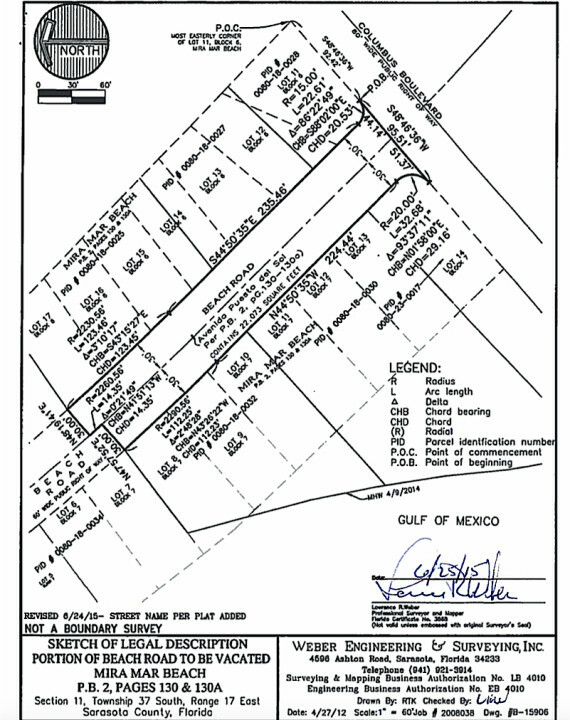 They are asking the county to vacate and close the portion of the Beach Road right of way platted as Avenida Puesta del Sol, “which bisects their lots and extends from Beach Road’s intersection with Columbus Boulevard northward approximately 360 feet,” according to the application. That portion of Beach Road at the focus of the petition was washed out regularly during storm events over the past several decades, the narrative explains. Among those were the 1982 “No Name Storm,” it points out. 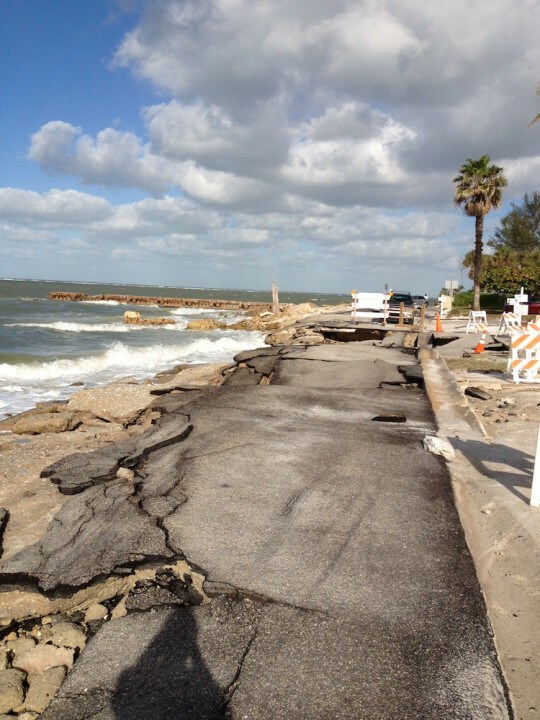 In June 2012, Tropical Storm Debby contributed to significant erosion of the road, county staff noted at the time. 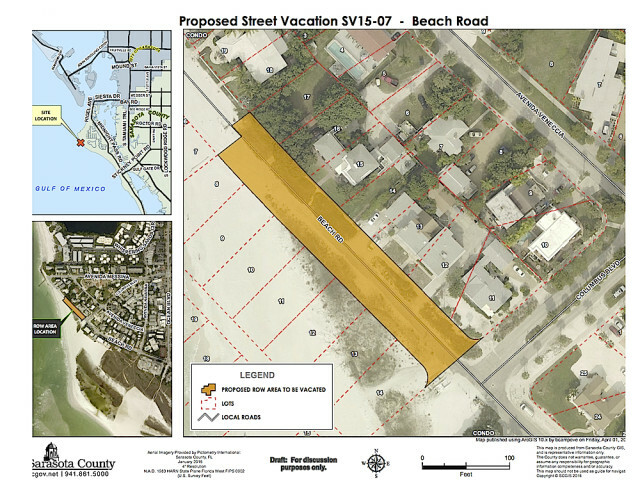 The narrative also points out that the “proposed vacation would not in any way impede the public’s pedestrian access to the beach or the Gulf of Mexico” and that county public beach accesses are located both north and south of that segment of Beach Road. 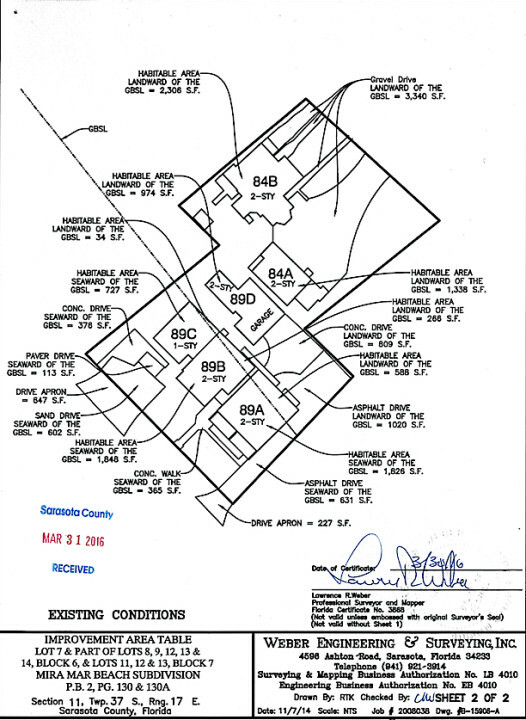 The narrative further explains that the Maddens’ lots contain 12 dwelling units that are not in compliance with the current Florida Building Code or regulations of the Federal Emergency Management Agency (FEMA), the Florida Department of Environmental Protection (FDEP) or the county’s Zoning Code. The Maddens intend to redevelop those lots by building one structure with six fully conforming units, the document says. It would be located further landward than the concurrent structures and accessed exclusively from Avenida Veneccia. 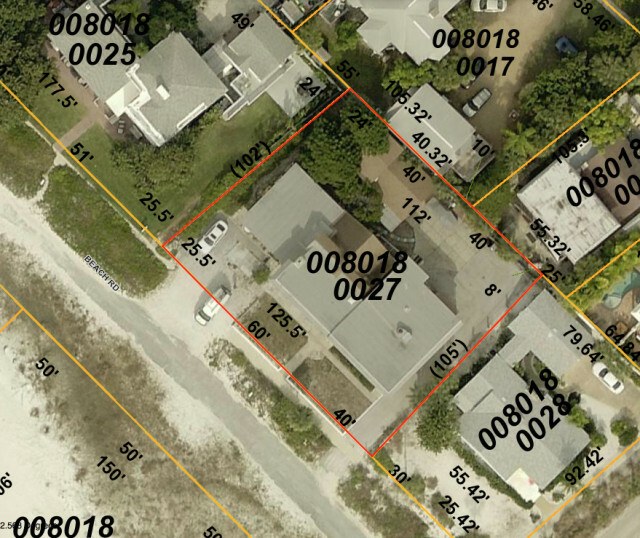 According to records of the Sarasota County Property Appraiser’s Office, a 12,283-square-foot parcel at 89 Beach Road has two buildings on it that have a total of seven units. Erected in 1335 and 1940, they were sold to Wendy Madden in August 2001 for $420,000, county property records say. The Maddens also own a 10,724-square-foot parcel at 84 Avenida Veneccia, where structures containing five apartments stand. Those buildings date to 1941 and 1945, the records show. The Maddens purchased them in April 2003 for $545,000. 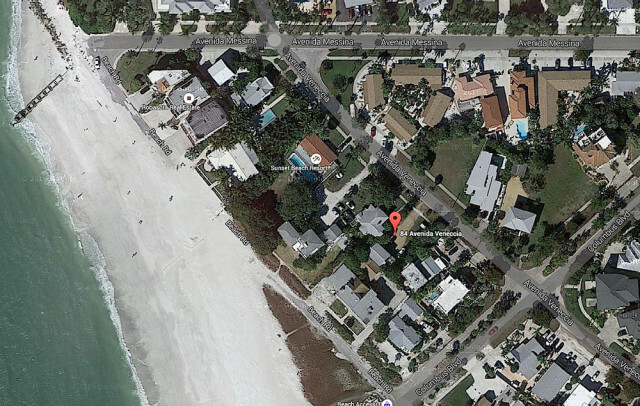 During the July 2012 Siesta Key Association meeting, Diane Erne — then a resident of a condominium complex on Avenida Messina — talked bout the “huge holes” that had opened up on North Beach Road near Access 3 as a result of Tropical Storm Debby’s lingering in the Gulf of Mexico for several days. After Hurricane Sandy swept by the coast in October 2012, the county’s then-chief engineer, James K. Harriott Jr., reported that it would take about four to six weeks before permanent repairs could be made to a 150-foot-long section of North Beach Road, at an estimated cost of about $200,000. However, the segment of the road that is the focus of the petition “remains unusable by and unsafe for vehicular traffic,” the application points out. It took county staff about six weeks to stabilize the other part of the road after Tropical Storm Debby damaged it, Harriott pointed out to the News Leader on Oct. 30, 2012. He expected the expense would be “upwards of $1 million” to provide a permanent solution to the problems. Harriott also explained that North Beach Road probably dates to the 1940s or 1950s. Patterson told the News Leader in an interview in October 2012 that she recalled problems with the road going back 20 or 30 years. “It would wash out, and the county would repair it. It would wash out, and the county would repair it,” over and over again, she added. Finally, the county designated part of the road as accessible only to the property owners and residents, she noted. In advance of the meeting this week, Commissioner Christine Robinson asked staff to provide more detailed information to the board — including the petitioners’ application. 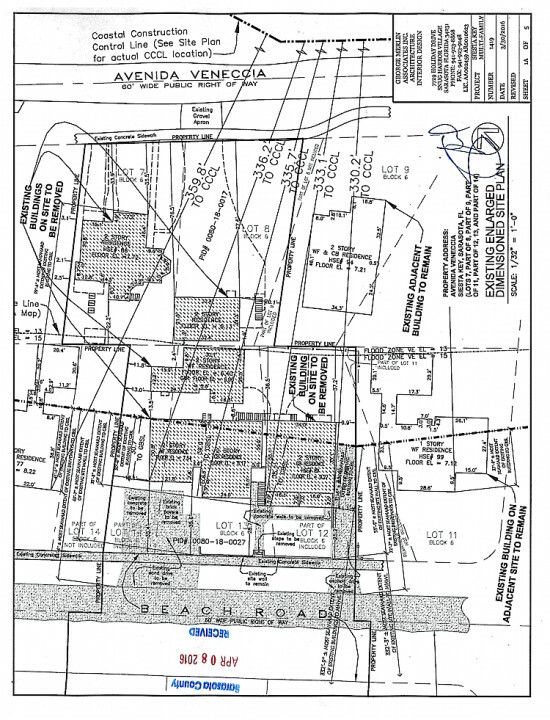 The authorization for the public hearing was put on the April 12 Consent Agenda, which generally includes routine business items, but the packet included just the staff memo, a map and the copy of the resolution authorizing the hearing. “Yes, thank you,” Harmer replied.